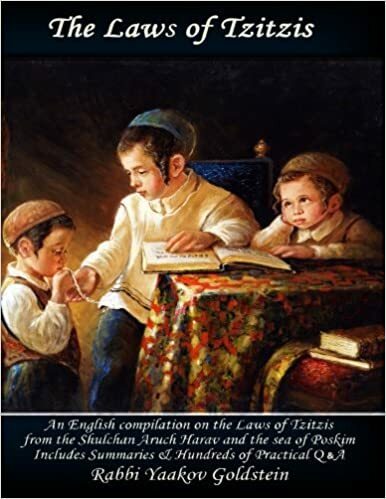 What is the law if a Tzitzis string tore within the braid [i.e. Gdil], or beneath the braid [Gdil] by the hole? What is the law if the string tore within the last set of knots from which the loose strings extend from? Seemingly, the Tzitzis is invalid. What is the law if the string tore above the knots, but later unraveled and now protrudes from below the knot? The Gemara states that if a string tore in the “Ikkur” or root of the Tzitzis, the Tzitzis is invalid. There are various interpretations of this word “Ikkur”. Does it mean the “Anaf”, the loose strings; does it mean the Gdil, the braided area; does it mean the area below the braid, which is the strings that pass through the hole? Admur in the Siddur, as well as the other Poskim listed above, take the approach that it refers to the braid and below the braid. In the Shulchan Aruch however Admur takes the last approach, as will be explained. As the last two knots are still considered part of the Gdil from which the Anaf extends, and hence when a tear occurs in that area, the Anaf is considered to have lost one whole string. As the knots separate between the Anaf and the Gedil, and hence if the string is now extending from beneath the knots, within the Gedil, it is now invalid as it is considered as if its root is torn, and hence both sides are now considered torn. However, according to this understanding, even if a string did not tear but simply unraveled from the knots, and now extends below the knots, it would be invalid, and this is preposterous to even ponder.